We are providing this compare for you since Alice from California asked it via contacting us. These cards are actually in different categories. Chase Unlimited is a good card for general usage. However Chase Sapphire Reserve is a card for travel purposes. So we compared these two cards in two different categories. For general and travel. Besides there is 15 months introductory APR of Chase Freedom. So we also made before intro and after intro compares in Chase Freedom Unlimited vs Chase Sapphire Reserve comparison. We created an example budget for consumers here. If you want us to calculate for you, we can do it freely. You will also understand how introductory APR is effecting bills with this compare. You can find comparison of Chase Freedom and Chase Sapphire compares for introductory period. The table below is comparison of both cards. You can check both cards rates, fees, rewards and bonuses. In the first glance Chase Sapphire looks shiny with good bonuses and opportunities. Especially amount of the bonus is very attractive. This is our example expenses to calculate both cards. With this calculation we are going to much better results than statistics and rates comparison. We will pay our all credit card debts monthly in all example calculations. If you even pay yoır debts with time, this won’t change winner side but only amount of the money that you will pay. Chase Sapphire Reserve is looking like an expensive card. However there are good bonus and additional rewards in the first year. Let’s compare fees and rates of the card with values above. It looks like Chase Freedom Unlimited has beaten Sapphire Reserve with the help of introductory APR. However this compare was just for general usage. If you want a travel card, you will need to check results below. Despite of introductory period of the Chase Freedom Unlimited, Chase Sapphire could manage to win this compare. It is because there are high redeem values of Sapphire for travel. Now these compares are for after introductory APR period. There are not any bonuses now and introductory APR. Let’s see what will happen 15 months later. Chase Sapphire Reserve’s annual fee is very high and this is the main reason that the card lost this comparison. However if you are saving your rewards points the amount of your loss will be lower. Chase Freedom Unlimited won this compare with almost $43 difference monthly. It means $516 in a year. In this compare there is 50% better results for Chase Sapphire Reserve. 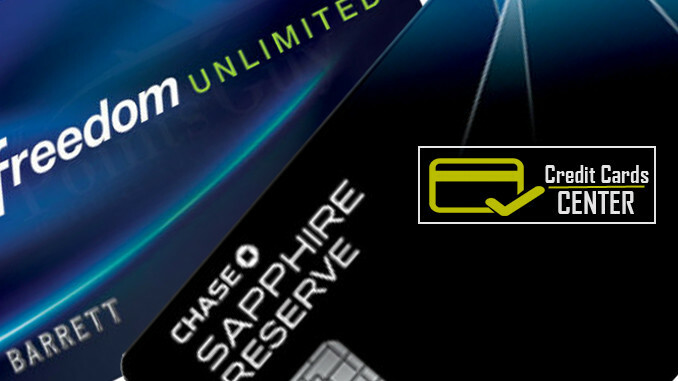 However Chase Freedom Unlimited still get better result than Chase Sapphire Reserve. As we have told you above, the annual fee of the card is too much and this affected the results of this compare seriously once more. As we have told at the first paragraph both cards are for different categories. However if a credit card in a general category can beat another one in away matches, it means that card is far better. Chase Freedom Unlimited even get better results than Chase Sapphire Reserve in Travel category despite of it is a cash back card for general purchase purposes. However if you will use Chase Sapphire Reserve Reserve in short-term (For 15-18 months). This card can provide better options for you since there is 50000 of sign-up bonus which you can increase it via redeem it for travel (75000). We believe that Chase Sapphire Reserve will lost the effect of bonus after 24 months later maximum. For a long term travel and general purposes winner is Chase Freedom Unlimited Wins. For short term travel purposes winner is Chase Sapphire Reserve. I am looking for a long term credit card. What card do you recommend? Low APR is my first choice.